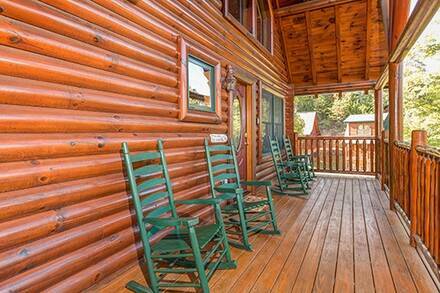 Dreaming of a Smoky Mountain vacation? 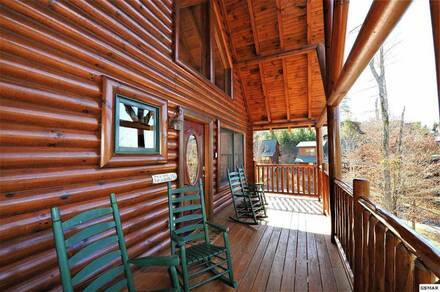 Stay in a quintessential Pigeon Forge log cabin rental at make Mountain Memories as a family or group. 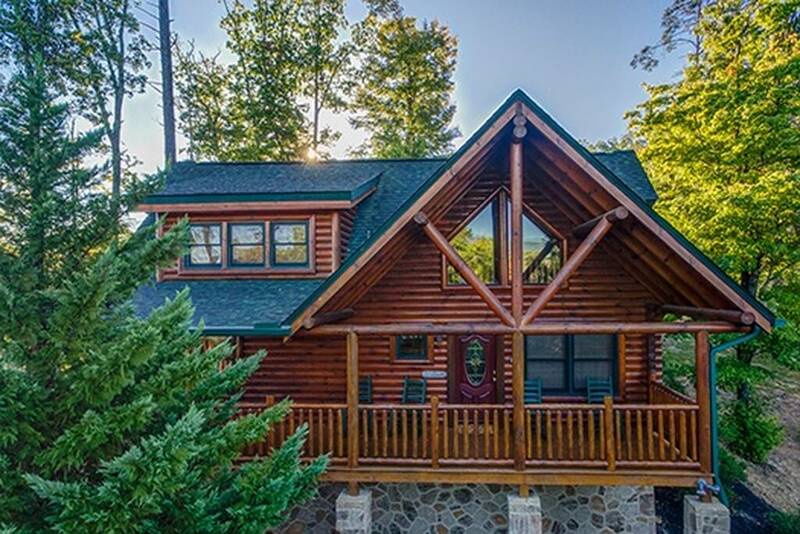 This gorgeous chalet looks like a real life, deluxe Lincoln log cabin, yet no children’s toy ever had the lavish interior of this cabin! 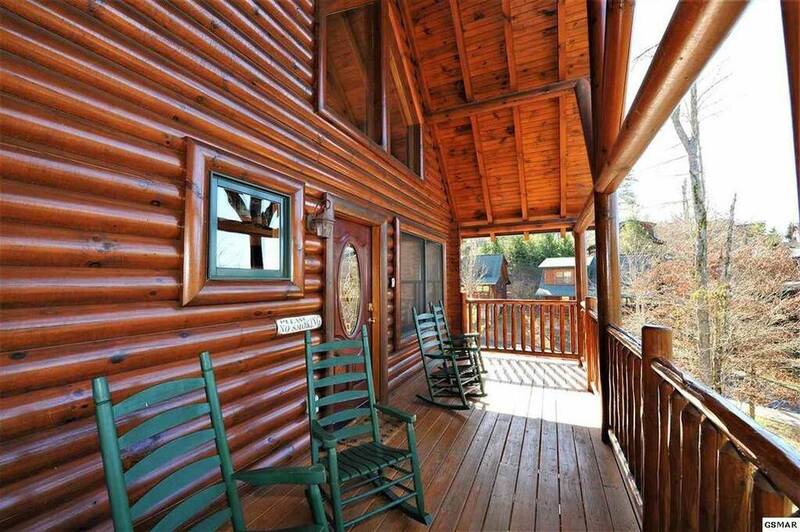 Enter the cabin after ascending a log staircase that deposits you on the wide wraparound porch. 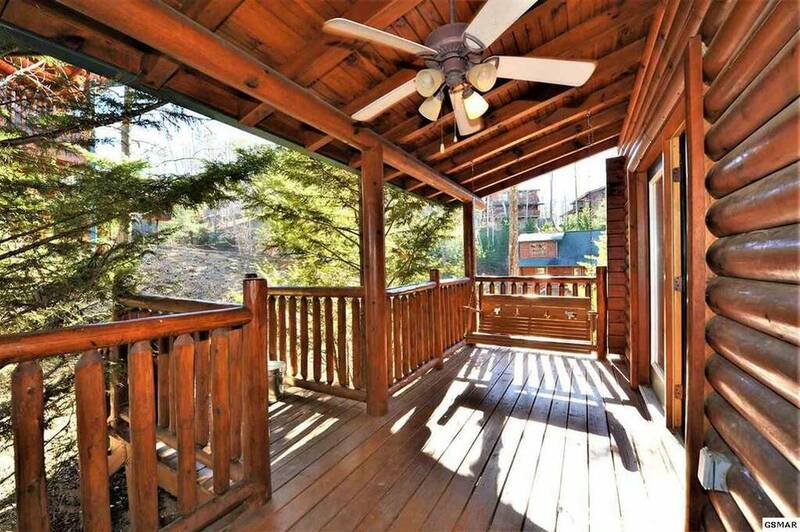 Drop your bags and explore this covered deck and you will find a porch swing, rocking chairs, a charcoal grill, and a hot tub. 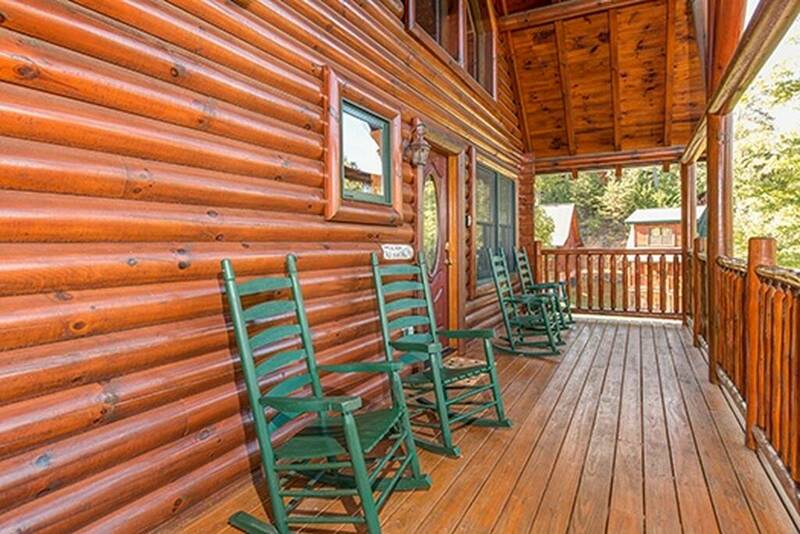 Make plans to soak in the cool evening air later in the day and start the following morning in a rocking chair, breathing in the fresh mountain air. 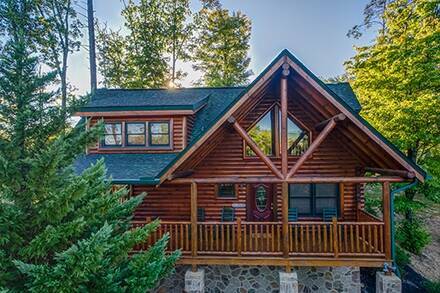 The cozy living room is decorated like an upscale lodge, with comfortable sofas with a mountain print and wide fireplace set in a stacked-stone hearth. 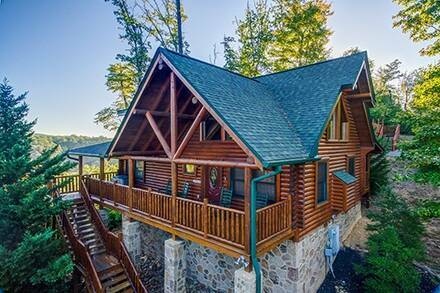 A plasma television in the corner gives you another option for relaxation and the cabin also has Wi-Fi throughout. Upstairs, a full-sized pool table and arcade system afford the chance for a little competition. 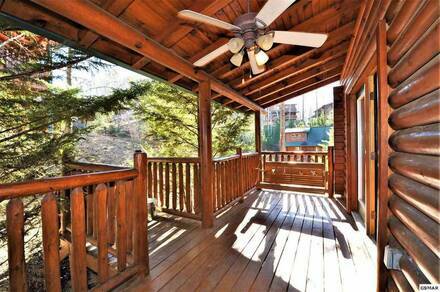 Cook dinner for the group in the full kitchen, which features up-to-date appliances, with a dining room table nearby. The three bedrooms are decorated in rustic fashion, with the amazing master suite offering a view of the valley from the window by its king bed. A two-person jacuzzi and flat-screen TV give you plenty of excuses to come down to breakfast a little later. 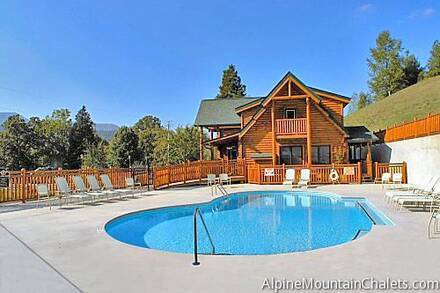 Mountain Memories also presents the opportunity to use Covered Bridge Resort facilities, including a swimming pool open in the year’s warmer months. There are also places to walk or run and the resort is biker friendly. 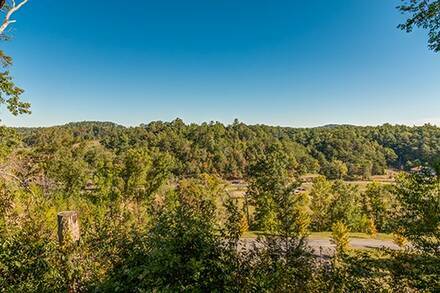 Book your mountain getaway now and enjoy easy access to the national park and attractions in Pigeon Forge.